While we’re on the subject of bosoms I want to take this opportunity to urge everyone who doesn’t already do so to check your breasts regularly. I recently saw a demonstration at a local health centre and discovered that after all these years of self checking I was doing the damn thing wrong. Wrong I tell ya. Here’s a useful guide if you’ve never done it before……. I have a confession to make- I’m a bit of a make up snob. I bow at the altar of MAC, Bobby Brown and Urban Decay and turn my nose up at Collection 2000, Rimmel and any other cheapo brand. Not because I have money burning a hole in my pocket but out of habit as once upon a time they had very little for me. As a teen the cheaper ranges rarely carried products that suited black skin and when they did everyone wore it- ie Black Cherry lipstick from Rimmel that I’m quite certain was worn at some stage by every black girl in my year at school. I could get lipstick from Sleek and Island Beauty but anything else was a struggle. Years later I discovered MAC and everything changed. I no longer had to scour every make up counter in Boots looking for just the right shade of eyeshadow, I could just make one stop at MAC to get everything I could possibly need and that has pretty much been the routine until last week. While browsing the internets I found several great reviews about a range of mineral based eyeshadow palettes by Sleek (available at Superdrug) and thought I would go back to my make up- from- the- chemist roots and give them a whirl as at £4.49 it’s hardly breaking the bank if they all look terrible. The good thing is- they don’t. There are three palettes in the i-Divine collection- Chaos which is quite brightly coloured matt shades, Storm which is a range of neutrals and Original which is what I bought. My first impression was good. The palette looks stylish with its matt black case, is very slim and is around 14cm long. The mirror is a great size that is actually useable (so often with make up you get some titchy little thing that only allows you to see one eye at a time) and the colour intensity of the product is good. I doubt I would use all of them as I’m not so keen on the pinker tones but the others are all workable and I can already see this becoming my “go to” palette for evenings out. 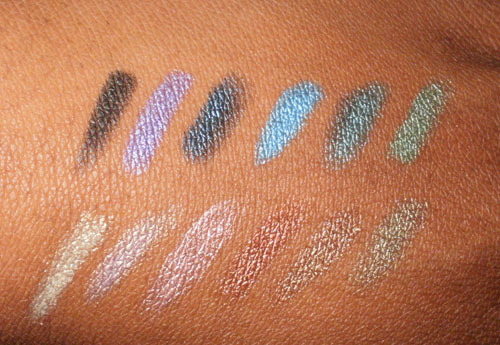 I say I would only use it for evenings out because the neutral shades are more sparkly than I would wear during the day, but I might try out the Storm palette for daytime looks. They go on smoothly and evenly and are not as super fine in texture as MAC, but at £4.49 for 12 colours against £10 per single colour at MAC I’m really not complaining, just making a comparison. 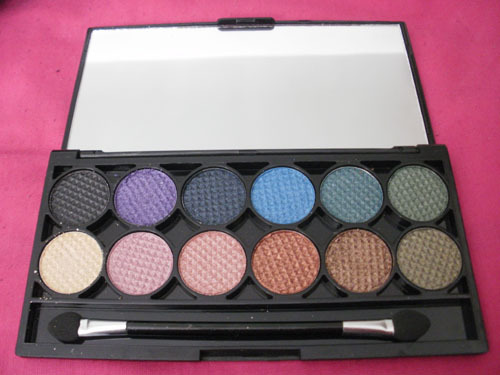 I tried out this palette at my posh do last week and surprisingly enough they lasted really well. I don’t use primers but the colour didn’t disappear into the creases halfway through the night. Really though, that event was a rather modest affair with no wild dancing til dawn so the test conditions weren’t as hot as they could have been. I will have to see how they perform on a more raucous night out where I’m getting jostled like a pinball, having lager splashed all over my clothes and getting my feet stepped on as though they’re part of the flooring. Starting this week, I’m making a conscious effort to buy more natural skincare products. I have found myself reading the ingredients of everything from food to soap and am often surprised by the long lists of additives and colourings of things, even more so at the ingredients of things touted as “natural”. I don’t plan to go all hippie and exclusively only use products I’ve manufactured in my kitchen, but I am starting to be much more aware of what I’m putting onto and into my skin. 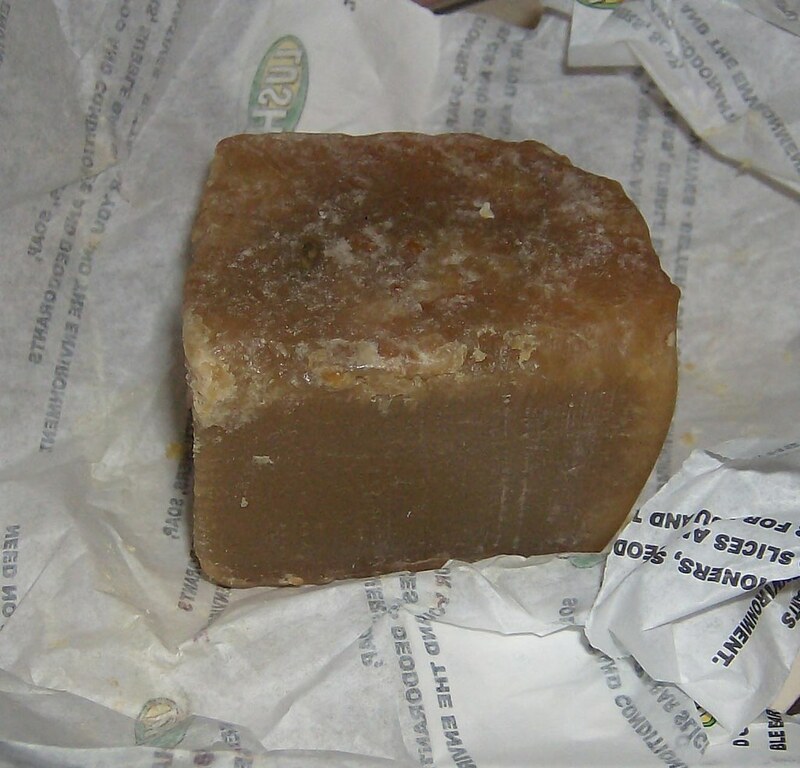 With this in mind I went into Lush for the first time a couple of days ago. Lush is somewhere I usually stay well aware from because the strong citrus smell you experience when you walk within ten feet of a Lush store is a bit too abrasive on my nostrils and puts me off. Plus the whole image is a bit more “greenpeace” than what I would normally be attracted to and I like a bit of marketing polish. Of course the marketing doesn’t affect whats actually in the tub but I’m a sucker. I was looking for two things in particular- deodorant and cleaner and I found both. I wasn’t particularly impressed with the range of deodorants as they all smelt very um…. hippie. One whiff of the Patchouli one and I felt like I’d momentarily time travelled back to Woodstock. I wanted something quite floral and girlie and even though that option wasn’t available I was determined not to leave empty handed and settled on the Sandalwood and Lemon variety…. …. which just doesn’t have the same visual appeal of a can of Dove really, does it? Despite its very unappealing appearance it works really well. I’ve not had the chance to really put it through its paces with a stint at the gym or a day out in the summer but there was no odour from me and I wasn’t overwhelmed by the sandalwood smell either. In addition to the deodorant I also bought the Ultra Bland cleanser which was recommended by the assistant who helped me out. This was the thing I thought I would be the happiest with but its not at all. Its heavier than I thought it would be and greasy. Once I’d applied it to my face I had to really lather up my palms with soap to get it off my hands. Not quite as impressive. The directions instruct you to apply with your fingers and remove it with damp cotton wool but I found I had to apply a bit more pressure than I wanted to remove it and I didn’t feel too refreshed afterwards. Also, I had hoped that maybe I could just wash it off but that doesn’t work. I’ll use it up now that I have it but I won’t buy it again. 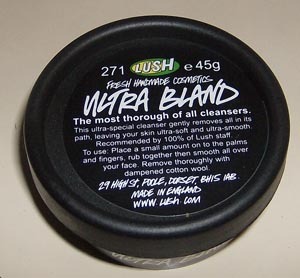 I would still go back to Lush but certainly not for this cleanser. Can anyone recommend any good natural beauty brands? I’m looking for body lotions, cleansers and hair products in particular and would love your help.